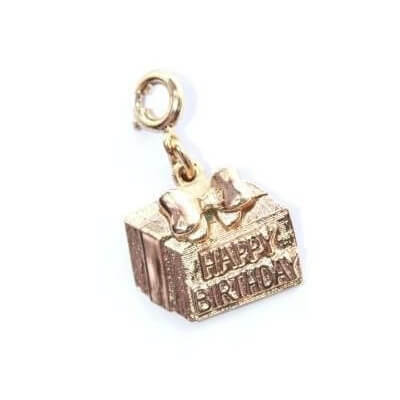 Description: Another lovely charm from Sarah Coventry, this one featuring a present wrapped up in a ribbon bow, depicting a “Happy Birthday” message with a gold plated finish. 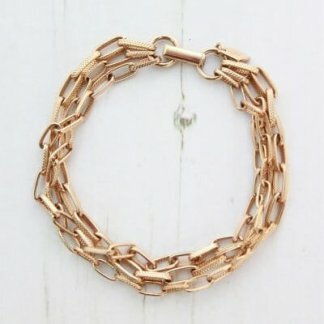 Fully signed on the back © Sarah, with jump ring and clasp. The charm is in wonderful condition. 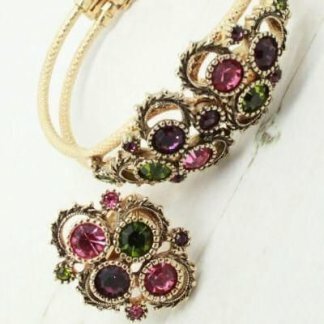 Despite it’s vintage age it looks new and unworn making this the perfect present. Measuring 2cm at the widest point.